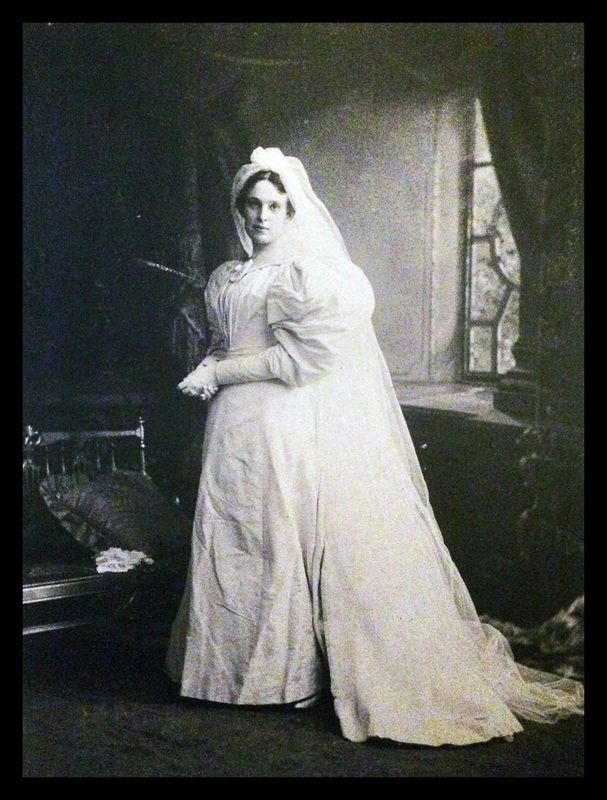 Starrett-Dinwiddie Wedding Announcement, Chicago Inter-Ocean, 22 September, 1895; Helen Starrett in her “rich, but simple costume of white satin” in one of the parlors of her mother’s residence, Scoville Place, Oak Park, Illinois; Scoville Place in Oak Park, Illinois, residence of Helen’s mother, Helen Ekin Starrett. William S. Dinwiddie was in Plaquemine for the first six years of the Lock project. 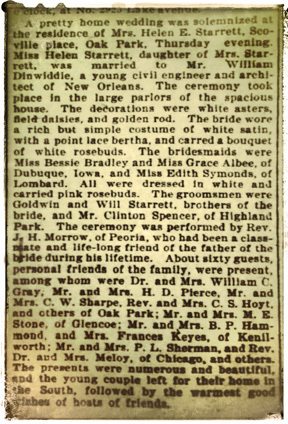 The couple’s September 12, 1895 Chicago Inter Ocean wedding announcement describes him as “a young civil engineer and architect of New Orleans,” so it stands to reason that he was already in Louisiana when construction began. While Bill hunkered down on canal work, Helen was busy with the growing Dinwiddie family. William Starrett Dinwiddie arrived on Jun 18, 1896, and Goldwyn Carrington Dinwiddie on October 20, 1898—both born in New Orleans since Plaquemine did not have a hospital until 1923. An exact street address in the Iberville Parish census records was not recorded. Early photograph from the Louisiana Historical archives of the Plaquemine Lock during construction. 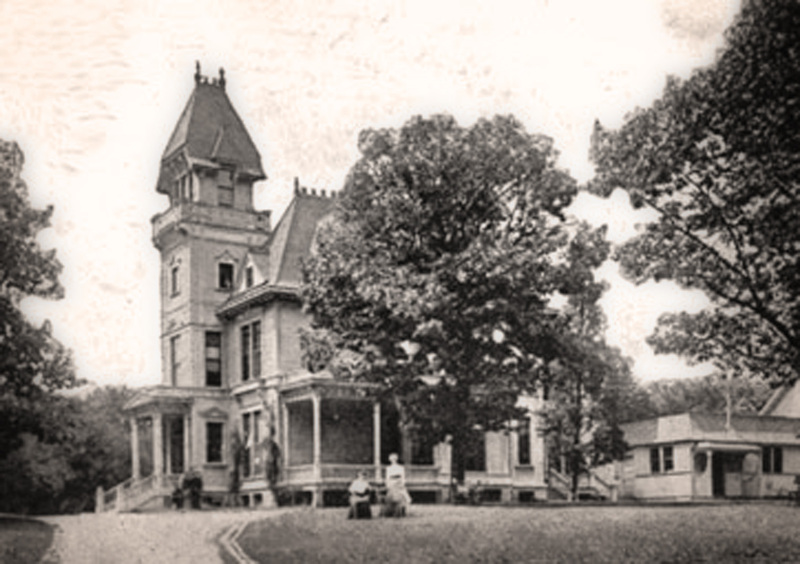 Sometime during 1900, Bill received a call from his former co-worker and brother in law, Paul Starrett. Paul wanted him to return to Chicago to work with him for the George A. Fuller Company. It was a fantastic opportunity and a real step up the ladder—his first job as a construction superintendent. The project? The (1902) Chicago Tribune Building. Though I’m sure Bill enjoyed the challenge of the Plaquemine Lock in Louisiana, I think his eyes (and his heart) were always focused up towards the sky. As the Tribune Building went up, so did the headcount under the Dinwiddie roof. On October 27, 1902 Bill and Helen welcomed their third son, John Ekin Dinwiddie in Chicago, Illinois. 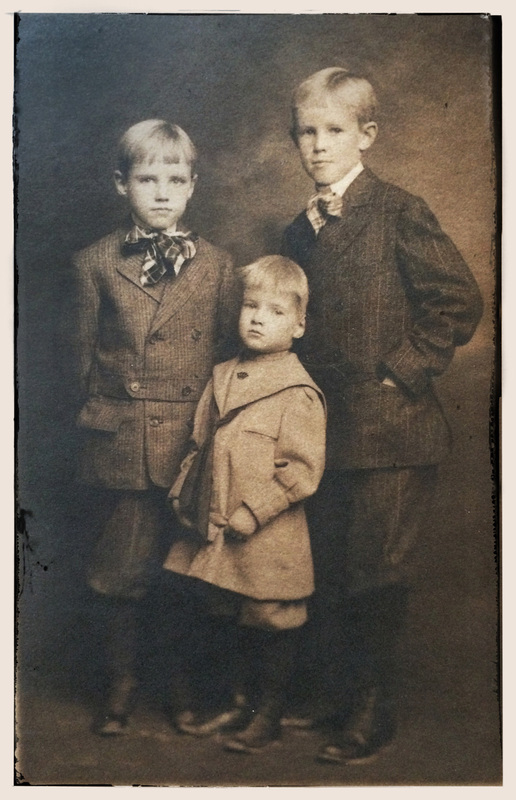 The first three Dinwiddie boys: William Starrett (right), Goldwin Carrington (left), and John Ekin (center). Archival photo from Helen Starrett Dinwiddie’s personal collection. Meanwhile, another brother-in-law, Theodore, was in the process of organizing his new firm, the Thompson-Starrett Company. Once Bill had finished up on the Tribune Building with Fuller in 1902, Theodore persuaded him to manage his Chicago offices. At Thompson-Starrett, Bill quickly advanced to Vice President and General Manager of the Chicago branch. Thompson-Starrett had become one of the biggest contracting firms in the country, with nation-wide operations. The long, tall Dinwiddie brothers were taking the skies by storm. While Bill ran the Chicago offices, Jim was the VP of the New York branch. 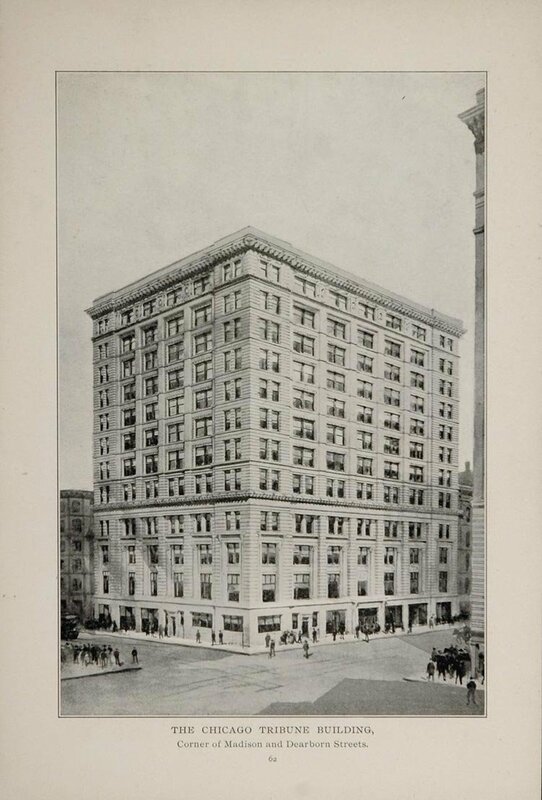 Early image of the Tribune Building, completed 1902. The building once stood on the southeast corner of Dearborn and Madison Streets in Chicago’s Loop. At 244 feet tall with 17 stories, it was the home of the Chicago Tribune Daily newspaper prior to its move to the now world famous new Tribune Tower. The “1902 Tribune Tower” has been reported as the first building in Chicago with two basements, necessary to house the paper’s noisy and heavy printing machines.